AFTER three failed bids in the local High and Appeal courts, lawyers for A&V Drilling company were smiling yesterday after the Judicial Committee of the Privy Council in England ordered State-owned Petrotrin to hold its hand on seizing A&V’s Catshill’s field in Barrackpore without giving an explanation. On Ash Wednesday, the law lords granted A&V an injunction against Petrotrin three weeks after the company failed to obtain said injunction when it petitioned a High Court judge, then an appeal court judge and finally, last week Thursday, a board presided over by Chief Justice Ivor Archie and two other judges. The Ash Wednesday ruling means that Petrotrin cannot take away the Catshill contract from A&V while it continues discussions over a breach of contract. The State-oil company contends it paid $83.9 million to A&V Drilling, a Penal-based company, for oil it did not receive at its Pointe-a-Pierre refinery. Under the terms of the contract, Petrotrin can terminate and seize the Catshill fields pending arbitration discussions. A&V was also successful in getting the law lords to order Petrotrin to respond by the end of next week to its injunction lawsuit in which it claims that the state-owned company refused to make available to A&V, two audit reports. 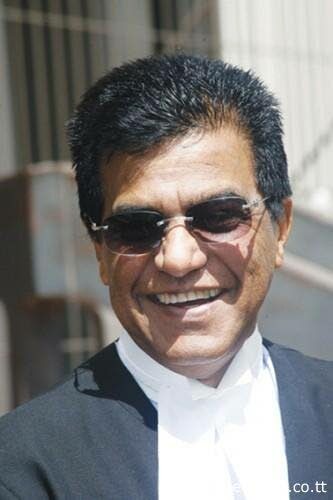 Former Attorney General Ramesh Lawrence Maharaj, SC, presented the case for A&V which was filed in London on Carnival Monday, seven days after Chief Justice Archie led a three-member panel of judges which threw out A&V’s injunction. A&V’s troubles began with Petrotrin’s March 2017 internal audit report which revealed an $83.9 million payout to A&V for ‘fake’ oil. Petrotrin hired Kroll Consulting Canada and subsequently forensic expert Gaffney Cline of the United States which confirmed discrepancies in oil dip measurement from the Catshill production field. Six Petrotrin employees were implicated in the report and on January 25, the company fired former People’s National Movement councillor Vidya Deokiesingh from the company’s maintenance department. Petrotrin then sought to terminate A&V’s contract to continue pumping oil from the Catshill field, but Maharaj entered into discussions with the company before filing a High Court injunction to stop the contract termination. Reply to "Hold your hand"